The fox spirit was able to take the shape of a beautiful woman to seduce men. 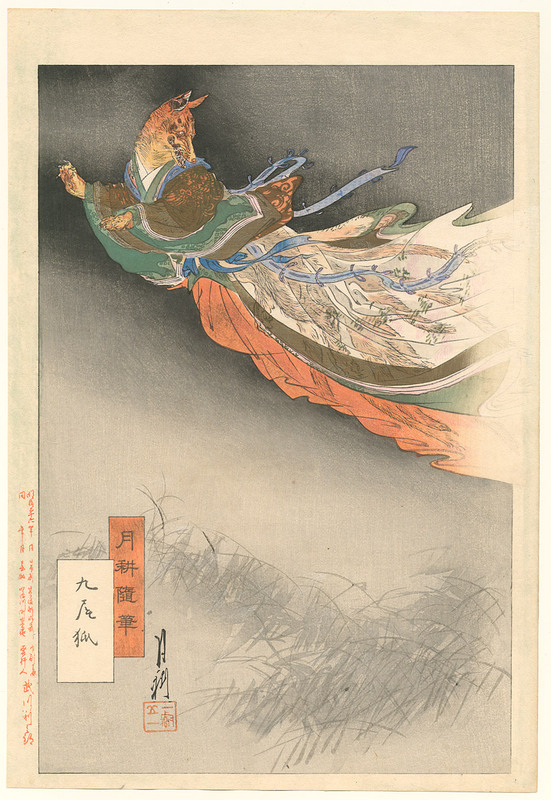 Here the fox shape is returning below the diaphanous robes. The nine tails are visible through the sheer fabric.